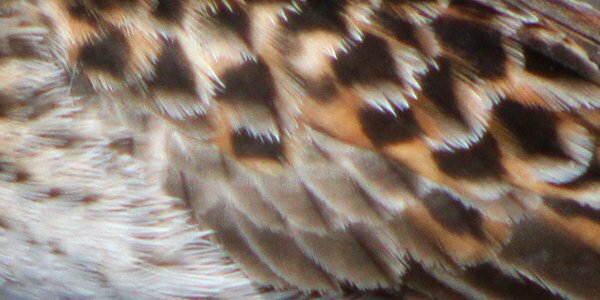 Now that landbird migration is largely done here in the northeastern United States we birders have to have something on which to focus our attention. 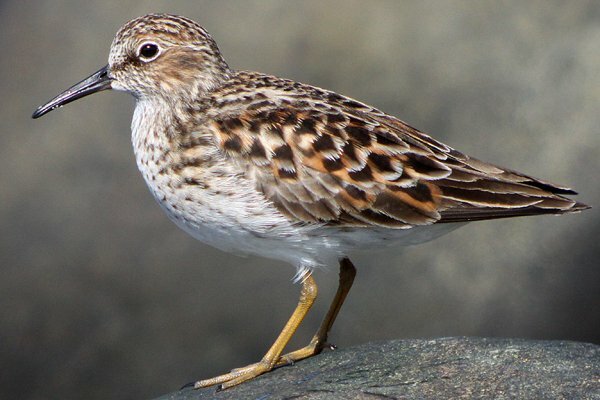 Shorebirds and seabirds will serve nicely for a couple of weeks until we hit the summer birding doldrums when birders consider things like butterflies and dragonflies, as heretical as that may sound. 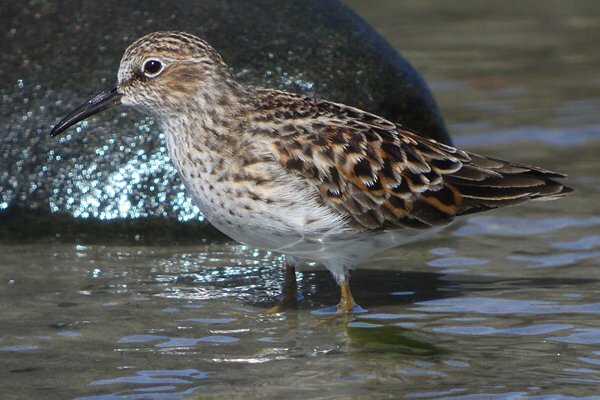 It is in the spirit of the season then, that I share with you these shots of Least Sandpipers Calidris minutilla. These birds were foraging the shoreline at Big Egg Marsh in Queens, probably hoping for some Horseshoe Crab eggs. Whatever they were doing they were very cooperative for me and my digiscoping rig. 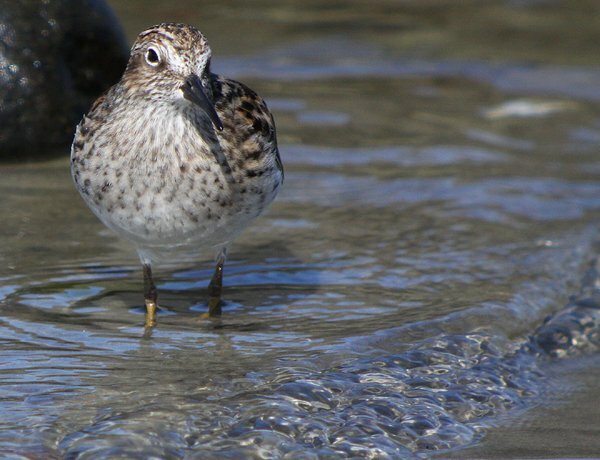 I hope you liked these shots of Least Sandpipers. If you want to see more great galleries of bird pictures check out our big and growing page of images, 10,000 Clicks! 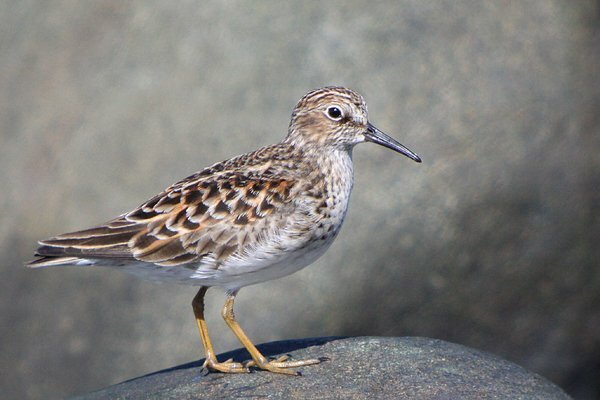 Excellent photos of the Least Sandpiper! These will help me in my ID. Thanks! Where Are You Birding This Last Weekend of May 2012? Where Are You Birding This Fourth Weekend of June 2012?